That's a really good idea. I am super excited to see what kinda stuff you can come up with in the future if you keep pursuing this! There are a ton of amazing designs i'd like to see realised in Shapeways form, would probably pay a couple of hundred's just to get my hands on all the pieces to replicate the Knight-like Tahu design where he's shown fighting Ikir... Though for the greater good i've decided to limit it to the most useful pieces, pieces that i feel would help the community if replicated. A single design could be made and whoever buys it could paint it. 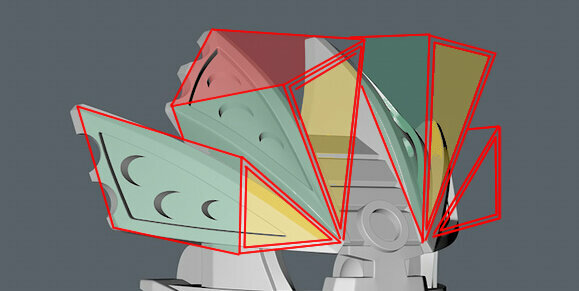 This is used in concept art on Tahu, Kopaka, Pohatu, Lewa, Umarak and even a few other characters. The entire piece doesnt even need to be made, as you could just make the flame pieces that could attach to the current Star Wars CCBS leg armour. These are easily the biggest request given that they would enable fans to almost instantly make the 2016/2017 alternative Tahu art. I've went with this specific design because i feel its the most neutral, neither evil or good. It looks both wise, but somewhat creepy at the same time. The design of the mask would need to include the elemental pieces curved spikes heading backwards round the sides - but it would enable fans to buy multiple's of the mask to paint in the varying combinations. 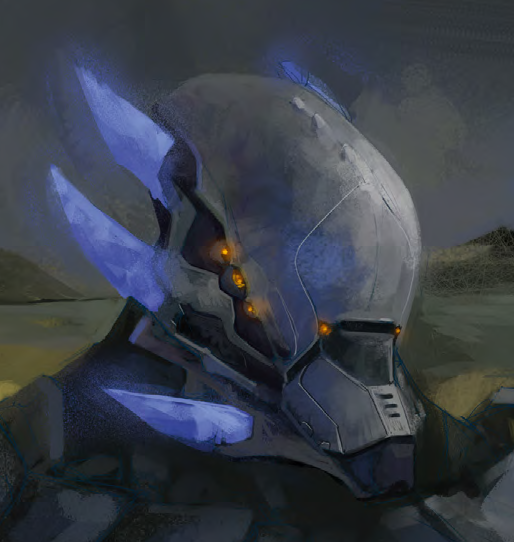 Presumably this would have acted similar to the 2006 under-mask for the Toa, however i feel it could be popular as a potential Mask that the Toa could wear when going to the shadow realm or other environments such as space or under the ocean. 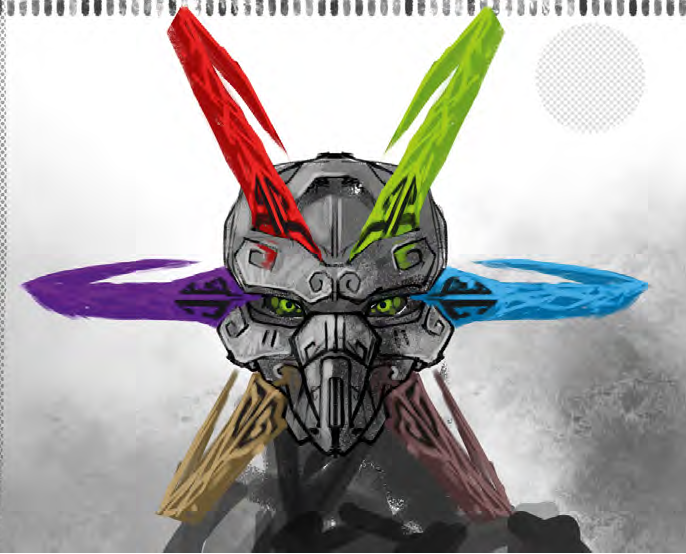 Once again, the spikes would enable fans to paint them however they choose, to represent the Toa they like or whatever. You could even buy a translucent/transparent version of the mask enabling you to see the Bionicle head underneath for a creepy look. The eyes could be joined together and filled in with plastic like the original mask of water to make them obviously different but still cool. I was actually going to suggest that myself, it seems like the best way to make them obviously different whilst still being generally accepted, in fact I think people would want it more for the g1 look than as a replica. I love the art book. There are so many amazing designs, I want to show you the pieces I like the most. Like Scarilian said, these leg armour pieces are just beautiful. If someone do this, I´ll definetly buy a lot from these. When I saw this version of the MoUP I did fall in love with the design. It looks a bit demonic, like the pure evil, like a power that could destroy everything it want. I also like these two designs. Both looks kind of funny and creepy at the same time. I like the hood they wear and the shoulder armor from the left. The dream catcher staff looks nice, the weapon from the right too. I think these villians would give a nice story to the bionicle universe, a creepy, magical and ghostly touch. I´ll definetly buy a lot from these. I think this piece would exist in different colors. 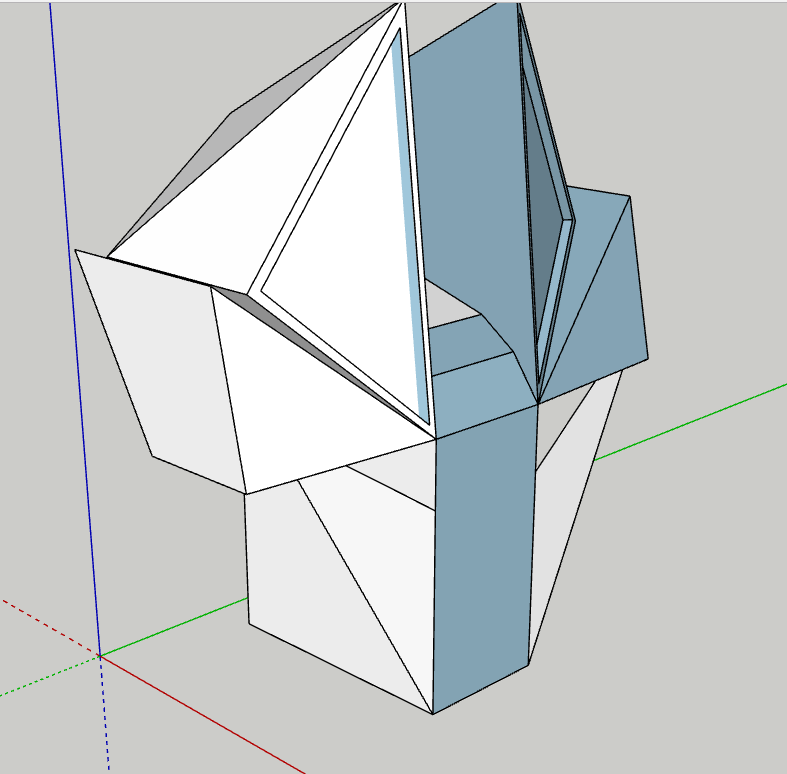 Perhaps this will be my test object when I start learning to model some lego pieces. But I don´t know if this will be good. I was thinking of just modifying the mask connection point. (The only part that isn't easily seen while the mask is on, but easily seen when the mask is off). I think the "horns" need to be facing forward. not exactly like that but a middle ground between your version (which does look really good btw) and the "horns" being flat. this mask has a curve but the shadow inbetween the main "horns" suggest it being a little more flat. just my thoughts on your model. I do think that the combined version works more like how it is now. 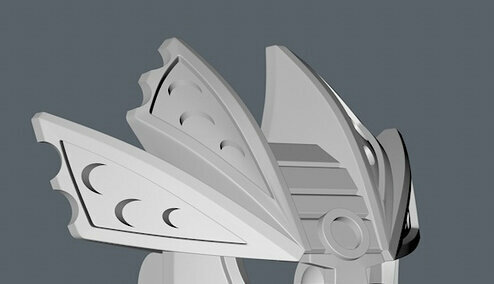 the curve in the "horns" works well with the shape of the origional Vahi. You're basing this on a single piece of stylized art in which it isn't the focus. The current version looks better than your suggestion, whether it's "more accurate" or not, shortening the crests would make the mask look too flat, and would leave the head mostly exposed. I don't think the shadows convey the information that it should be more flat but rather that the curves extends higher. To me it looks more like that art only further supports Cyber-hand's Vahi. The spikes clearly are slicked back. I don't see what you're talking about at all. .....I'm really scratching my head at how you came to your conclusion how the mask look. I'm starting to think that Matt Betteker's brush technique is making you think that solid colors represent flat planes. Can you do a draw-over over the concept art instead? I would agree because I'm scratching my head just as much. we have a "the dress" situation here xd.